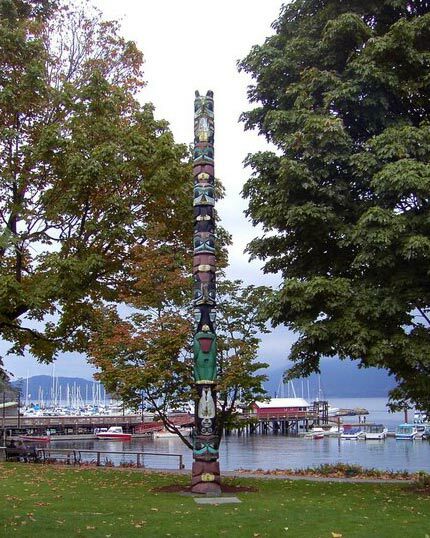 Brad Starr is a Haisla carver born in Kitimat, British Columbia in 1957. In 1995, while working in the construction industry, Brad was presented with a set of carving tools by his brother. Inspired by art created by his uncle Sam Robinson and his grandfather Solomon Mackay, Brad began to explore the art of carving. 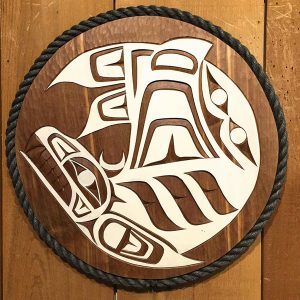 Master carvers Joe Bolton (Haisla) and Jimmy Joseph (Kwakuitl) have helped him define his own unique style of presenting the stories and images of his heritage. Brad’s talents are presented in many forms, including panels, masks, plaques and totems.